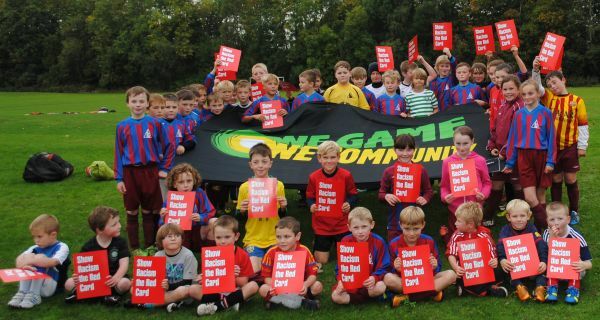 Youngsters from Fife Coaching Academy took part in a 3 day sporting festival to increase participation, raise awareness and identify the values of sport and the impact it has on communities, highlighting the Show Racism the Red Card Campaign. Fife Coaching Academy is a long standing supporter of the campaign and every year participates in our Fortnight of Action using it as a catalyst for anti-racism and equality work throughout the year. The aim of the project is to provide social inclusion activities for children aged three through to adult. Fife Coaching Academy has a diverse membership and events such as the sporting festival allow for complete social inclusion and a chance to educate and develop understanding topical anti-racism issues.